The new study, published in the Sept. 30 Science, is the first to look for signs of positive bias in bee decision making, Perry says. His team trained 35 bees to navigate a small arena connected to a plastic tunnel. When the tunnel was marked with a blue flower, the bees learned that a tasty vial of sugar water awaited them at its end. When a green flower was present, there was no reward. Once the bees learned the difference, the scientists threw the bees a curveball: Rather than being blue or green, the flower had a confusing blue-green hue. Faced with the ambiguous blossom, the bees appeared to dither, meandering around for roughly 100 seconds before deciding whether to enter the tunnel. Some didn’t enter at all. But when the scientists gave half the bees a treat — a drop of concentrated sugar water — that group spent just 50 seconds circling the entrance before deciding to check it out. Overall, the two groups flew roughly the same distances at the same speeds, suggesting that the group that had gotten a treat first had not simply experienced a boost in energy from the sugar, but were in a more positive, optimistic state, Perry says. In a separate experiment, Perry and colleagues simulated a spider attack on the bees by engineering a tiny arm that darted out and immobilized them with a sponge. Sugar-free bees took about 50 seconds longer than treated bees to resume foraging after the harrowing encounter. The researchers then applied a solution to the bees’ thoraxes that blocked the action of dopamine, one of several chemicals that transmit rewarding signals in the insect brain. With dopamine blocked, the effects of the sugar treat disappeared, further suggesting that a change in mood, and not just increased energy, was responsible for the bees’ behavior. The results provide the first evidence for positive, emotion-like states in bees, says Ralph Adolphs, a neuroscientist at Caltech. Yet he suspects that the metabolic effects of sugar did influence the bees’ behavior. The developing brood is being fed by a nurse bee, a member of house bees that has not yet started to fly. R. Williamson photo. Honey bees are able to wiggle their abdomens in a variety of ways. Now new research shows how they are able to do it. Specialized membranes that connect a honey bee's abdominal segments are thicker on the top of the abdomen than on the bottom, report the scientists. 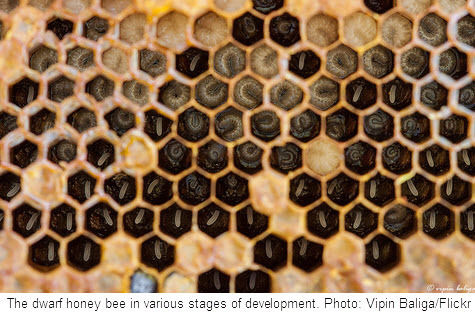 This asymmetry allows the segments to lengthen on top and contract on the bottom, resulting in the unidirectional curling the researchers observed in the bees they filmed. Honey bees are able to wiggle their abdomens in a variety of ways. Now new research published in the Journal of Insect Science shows how they are able to do it. In 2015, a team of researchers from Tsinghua University in Beijing used a high-speed camera to observe how honey bees curl their abdomens while in flight and under restraint, confirming that bees can manipulate the shape of their abdomens, but only in one direction -- down, toward the bee's underside. Now the same team has identified the mechanism behind that movement. Specialized membranes that connect a honey bee's abdominal segments are thicker on the top of the abdomen than on the bottom, allowing curling in just one direction. Honey bee abdomens contain up to nine overlapping segments that are similar to little armored plates. A thin, flexible layer of cells called the folded intersegmental membrane (FIM) connects the tough outer plates, allowing each concentric segment not just to attach to its neighbor, but to slide into the next one. The authors call this movement "telescoping." "Our research on the ultrastructure of the FIM is of great significance to reveal the bending and flexing motion mechanism of the honey bee abdomen," said Professor Shaoze Yan, one of the co-authors. "During nectar feeding, a honey bee's abdomen does high-frequency respiratory exercises and assists the suction behavior of mouthparts to improve the intake efficiency." In this experiment, the researchers looked at forager honey bees using the same combination of high-speed videography and scanning electron microscopy as they did in 2015. The engineers recorded the abdominal wiggling of live honey bees and the internal shapes of dissected bee abdomens. The flying videos were shot at 500 frames per second, and the dissected abdomens were imaged in thin slices. The microscopy showed that the membranes along the top of the honey bee's abdomen are two times thicker than those on the bottom. This asymmetry allows the segments to lengthen on top and contract on the bottom, resulting in the unidirectional curling the researchers observed in the bees they filmed. It's a design that the paper's authors suggest is ripe for exploration by more engineers, perhaps for use in aircraft design or other applications. Story Source: Entomological Society of America. Don't Take Honeybees For Granted! You may feel that the work you do is sometimes taken for granted, but the work of the honeybee is really taken for granted. We all know honeybees gather nectar to produce honey, but they perform another vital function — pollination of agricultural crops, home gardens, and orchards. As bees travel in search of nectar, they transfer pollen from plant to plant. This fertilizes the plants and enables them to bear fruit. Approximately 30% of the human diet is derived from insect-pollinated plants and the honeybee is responsible for 80% of this pollination. That is amazing! Bees collect pollen and nectar. 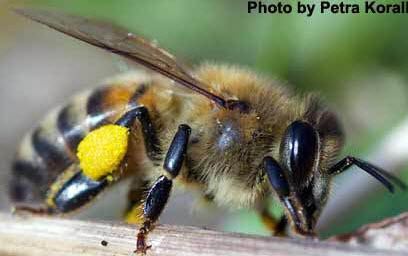 Pollen is a very high-protein food for bees. Plants give up some pollen in exchange for the bees' services in transferring pollen from other plants. Nectar is sucked up through the bee’s proboscis, mixed with enzymes in the stomach, and carried back to the hive, where it is stored in wax cells and evaporated into honey. Some bees tend to stay with a specific kind of flower. For example, a honeybee that visits an apple blossom on its first flight, will usually visit only apple blossoms until there are no more, and then they would change to another flower. 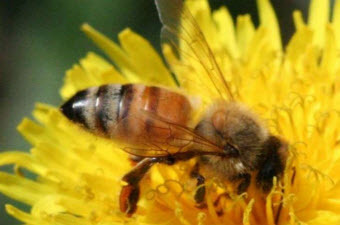 Did you know the honeybee is the only insect in the world that makes food for humans? So, if you happen to see honeybees during a summer outing, don’t be so hard on them. They are not out to get you. Their stinger is simply a defense mechanism. Their job is to get nectar and spread pollen. They are just doing their job. We do have a number of local honey operations where you can purchase honey products. 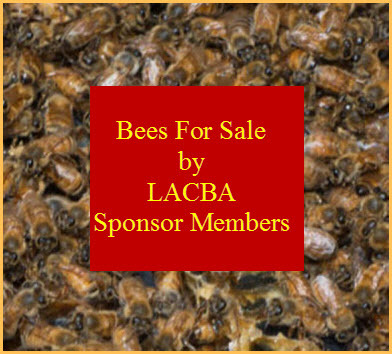 They are: Camden Meadows in Dresden (519-683-2033); Mike Dodok Apiaries in Chatham (519-351-8338); and Shiloh Homestead in Muirkirk (519-678-3747). You can also purchase locally grown honey at many of our farm markets and stores. Why buy local honey? Some say local honey will cure your seasonal allergies, and others say it's just plain good. Whether you want to reduce your carbon footprint or support local agriculture, buying honey that's made by bees in your own area is a good thing to do. But there's another reason you should purchase locally made honey — your own safety. 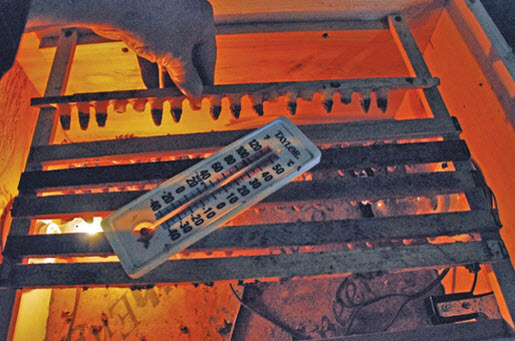 International honey launderers sometimes ship contaminated honey from China to the U.S., using intermediaries to falsify shipping labels and documents. The honey you purchase in your grocery chain might be labeled as a product of Australia, Thailand, or India, but there's a good chance it came from China. Barrels of honey travel from China to one of several other countries, where they are relabeled and reshipped to North America to be distributed by packing companies unaware of the scheme. That’s even more reason to support our bee sector by buying local honey, which is delicious and good for you. Think about this – The Lord is our refuge and strength, and a very present help in times of trouble. Just some bee-eautiful food for thought. As the sole bee in her caste, the queen bee is an illustrious member of the beehive. She is not only unique among her colony’s population, she is vital to maintaining that population. A queen can lay up to 1,500 eggs a day! 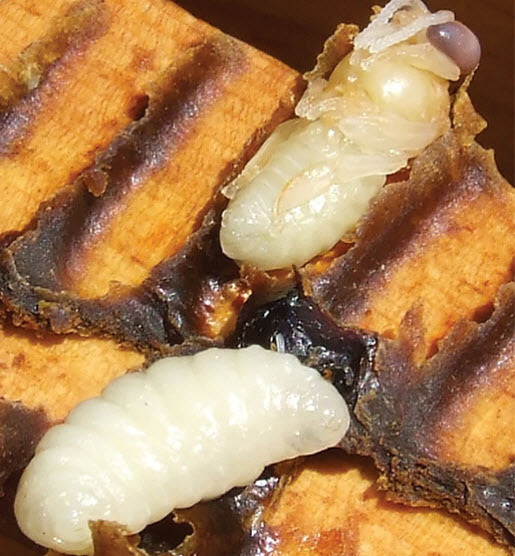 Although egg laying is her main gig, the queen has many other qualities that may surprise you. Read on to find out more about this all-important bee. Do Bees See Colors We Cannot See? You know those Snickers commercials about how easy it is to get angry when you're in need of a snack? Well, scientists haven't exactly shown that honey bees get "hangry," but the word certainly comes to mind when reading a new study on bee aggression. In the study, published Tuesday in Nature Communications, researchers led by Martin Giurfa at the University of Toulouse and Judith Reinhard of the University of Queensland found that honey bees put on the war path were quite easily put off it by the scent of food. When a guard bee senses a predator using visual cues like color and movement, it sends out pheromones -- chemicals that illicit an unconscious, automatic physical response in other members of the same species -- to put soldier bees inside the nest on high alert. This puts the bees into kamikaze mode, since any stinging attack leaves the species Apis mellifera sans several internal organs. At least 40 chemical compounds have been found in the pheromone cocktail that calls honey bees to war, but the main component, isoamyl acetate, is enough on its own to make a soldier bee ready to die for the cause. Previous research has shown that bees and other insects can sometimes get confused by exposure to more than one kind of pheromone. But researchers wanted to see whether the scent chemicals produced by flowers might have any effect. But when flowery scents like lavender were added, the bees chilled out. It wasn't simply a question of masking one scent with another -- some food-related scents, like citrus, had no effect -- but the compounds linalool and 2-phenylethanol, along with the scent of lavender (a mix of linalool and other chemicals) seemed to block the aggressive response to the alarm hormone. Since stinging is such a nasty business, it's not surprising that bees might be hardwired to avoid it in favor of accessing available food for the hive. But the bees didn't have to rely on memories of previously foraged snacks in order to decide what food trumped fighting. Even newly emerged bees, who had never foraged and therefore had no experiential preference for particular flowery smells, were calmed by the lavender-related scents. The researchers told Live Science that any calming effect of lavender on bees is probably unrelated to the anecdotal calming effect it has on humans. Lavender might be a pleasant, calming scent for a human bubble bath, but for a bee it's like the scent of a juicy burger (if that burger sent out chemical signals that literally drew your body toward it). But that doesn't mean that humans can't benefit from the study. "We certainly see great potential for applications to beekeeping," first author Morgane Nouvian, a graduate student at both the University of Queensland and the University of Toulouse, told Live Science. "Developing a product based on our results — for example a scented hand spray [or] cream, or an odor-releasing device to place at the hive entrance — could certainly help reduce the number of bees stinging while [beekeepers are] handling the hives. 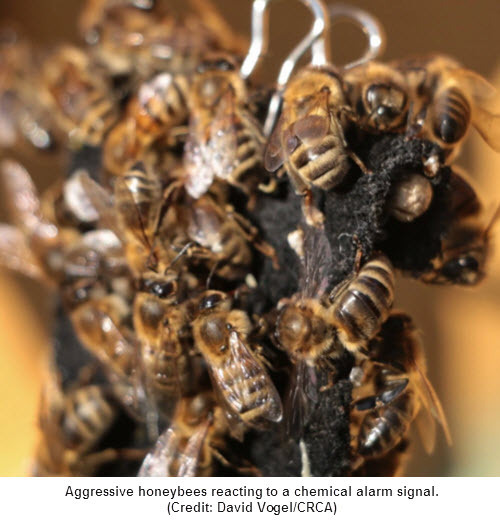 This method would be a great alternative to the current use of smoke and repellents, because we would be tricking the bees with something that they actually 'like,' and it would thus likely be less stressful for them." Since constant exposure to venom actually makes beekeepers more likely to become allergic to it than the general population, a product like that would be pretty sweet. We are all familiar with the satellite navigation systems found in modern cars and smartphones. It’s modern technology that we program in a location and get given directions and distances until we reach our final destination. Yet the humble foraging honey bee does all this many times every single day in its daily quest to find the perfect flower to tap for nectar and pollen. But if that wasn’t miraculous enough, a bee can pass on the exact location of the perfect flower to its colleagues, so they can share in the bounty. Its secret is not using circuit boards and processors it’s the angle of the sun, counting landmarks and electrical fields. So suggesting that a bee could be as smart as your modern satellite navigation system is not as daft as it may seem. The widespread use of neonicotinoids, a class of insecticides, appears to be particularly damaging to bees, and last year a Harvard study concluded,"Neonicotinoids are highly likely to be responsible for triggering CCD" in previously healthy honeybee hives. If you suspect robbing by other bees, you must act fast to put a stop to it or you are likely to lose the colony being robbed. Robbing bees will clean up every last drop of honey. Fighting will kill many bees and, once the hive is overpowered, wasps will move in and kill any remaining bees and brood. Robbing is most common during a nectar dearth and the robbed colonies are likely to be those that are small and weak. How to tell the difference between normal hive activity and a robbing situation? 1. Robbing bees do not fly straight to the entrance opening, they approach the hive flying from side to side in a zig zag pattern. Also, they appear light, not weighed down with a nectar load! 2. There may be fighting at the entrance and evidence of aggressive behaviour. 3. Robber bees leave the hive heavily laden, unlike bees setting off to forage and tend to climb up the front of the hive before taking off. Once they’re airborne, there tends to be a dip in their flight path. 1. Reduce the size of the entrance to the width of a single bee. If the weather is hot, use grass, it will let in more air. 2. Soak a large table cloth or small sheet in water and cover the hive that is under attack. Place the cloth so that it drapes over the entrance, to the ground. This prevents robbing bees from getting to the entrance. 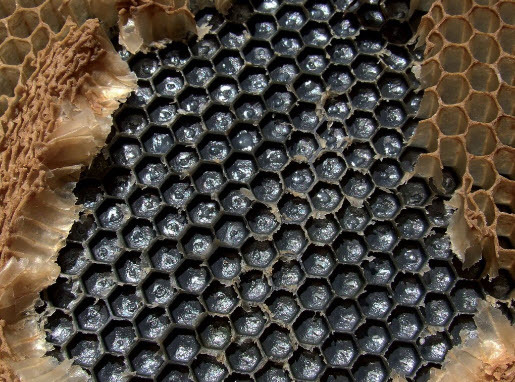 The hive's occupants will find their way in and out round the sides. During hot, dry weather, rewet the sheet as needed. Make sure to remove the sheet after one or two days. By that time the robbing behavior should have stopped. 3. Make sure there are no other entrances to the hive, check the open mesh floor for gaps, check if there are ways in under the roof and between boxes. 1. Never leave honey or scraps of comb out in the open where the bees can find it. 2. When harvesting honey, keep your supers covered after removing from the hive. 3. Don't spill sugar syrup - not a single drop - when feeding your bees. Never feed your bees in the open. 4. Make sure each colony is fed at the same time and in the evening. 5. Make sure the size of the hive entrance matches the ability of the bees to defend it. Small colonies need small entrances! When a bee is born, they are already "vaccinated" against some diseases found in their environment. This immune system priming is passed along to the larvae from the queen bee via a blood protein called vitellogenin. Credit: Christofer BangWhen it comes to vaccinating their babies, bees don't have a choice—they naturally immunize their offspring against specific diseases found in their environments. And now for the first time, scientists have discovered how they do it. Researchers from Arizona State University, University of Helsinki, University of Jyväskylä and Norwegian University of Life Sciences made the discovery after studying a bee blood protein called vitellogenin. 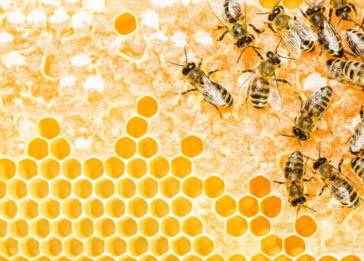 The scientists found that this protein plays a critical, but previously unknown role in providing bee babies protection against disease. "The process by which bees transfer immunity to their babies was a big mystery until now. What we found is that it's as simple as eating," said Gro Amdam, a professor with ASU's School of Life Sciences and co-author of the paper. "Our amazing discovery was made possible because of 15 years of basic research on vitellogenin. This exemplifies how long-term investments in basic research pay off." Co-author Dalial Freitak, a postdoctoral researcher with University of Helsinki adds: "I have been working on bee immune priming since the start of my doctoral studies. Now almost 10 years later, I feel like I've solved an important part of the puzzle. It's a wonderful and very rewarding feeling!" 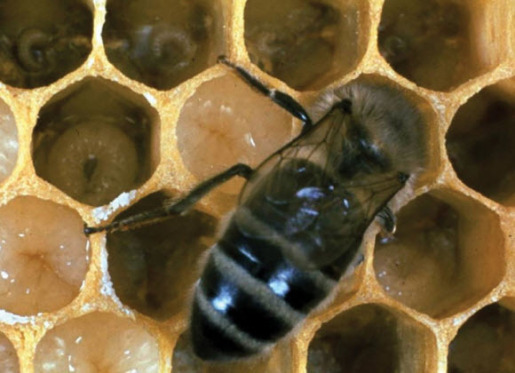 Ask the Naturalist: Why Do Bees Clean Themselves? Answer: The inside of a bee hive is considered to be a pretty clean environment. The bees produce honey there and we eat it. But, why are honey bees and their hive so clean? It is in their genes. Honey bees are akin to animated robots that move around in their environment responding to stimuli with behaviors that have served them well for millions of years. Building wax combs to use for food storage and baby bee production allows the bees to keep tens of thousands of bees huddled close together. However, if any type of microbial outbreak occurs, all this closeness could lead to an epidemic and colony death. The bees exhibit a behavior that deals with that problem. They collect resins from various plant sources. They return to the hive with these sticky masses where their sisters help to unload them. Beekeepers call this substance bee glue (propolis) because it is used to fill small cracks in the hive and cements the boxes together. 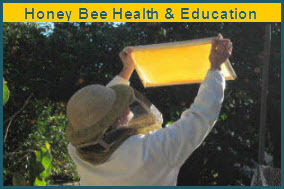 It also is mixed with beeswax and used as a thin varnish to line the walls of the hives and sometimes portion of combs. Those resins have surprising antimicrobial properties that are effective against bacteria, fungi, and viruses. So, the bees are encased in a shell of antibiotics. Some have suggested that the inside of a hive is as clean as a hospital room, but we are not quite sure about that. As for the bees themselves, it is common to see them using their legs or mouthparts to clean off other parts of their bodies. For bees, we might think that they are simply moving around or brushing off pollen that they picked up when foraging. However, honey bees live in a suit of armor called an exoskeleton. The exoskeleton is waterproof and protects the insects from invasive microbes. But bees also have to sense what is going on around them, so they have sensory receptors on the surface of their exoskeleton. The most obvious sensory organs on bees are their compound eyes. Honey bees can see objects, detect polarized sunlight, and have good color discrimination, similar to that of humans, but shifted a bit in the color spectrum. Bees wipe their eyes every so often to keep them clean. We humans have eye lids that keep our eyes clean and moist. The rest of the sensory organs on the exoskeleton are sensilla (stiff hairs and protuberances) or pits that serve as sensory receptors. The tips of honey bees’ antennae have many touch receptors, odor receptors, and a special sensory organ called Johnston’s organ that tells them how fast they are flying. Other sensilla bend when the bee changes positions, so it remains aligned with gravity when it is building comb cells. Sensilla on a queen bee’s antennae help her determine the size of a comb cell, which determines if she lays a worker- or drone-destined egg. So, all those sensilla must remain dust and pollen-free to function properly, allowing bees to remain as busy as, well, bees. Worker bees without access to adequate pollen early in life turn out to be poor foragers, and dancers, as adults. The bees’ so-called waggle dance, a figure-eight movement, is used to tell other members of the colony how far and in what direction to fly to find flowers. If the pollen-deprived bees went out to forage, they often did not return, said Heather Mattila, a biologist at Wellesley College..
Dr. Mattila and Hailey Scofield, an undergraduate student, raised one group of bees with limited access to pollen and another with adequate pollen. They combined the bees in one hive and observed them. Their study was published this month in PLOS One. “Pollen-stressed workers were less likely to waggle dance, and if they danced, the information they conveyed was less precise,” Dr. Mattila said. Outside the lab, bees encounter pollen stress regularly. At the beginning of spring, for instance, cold weather makes it difficult to search for pollen, and flowers have not fully bloomed. Poor foraging and waggle dancing could add to the decline in honeybees, and threaten crops like apples and almonds that depend on the insects for pollination, Dr. Mattila said. A bumblebee drinks sugar water from an artificial flower and learns to return to yellow flowers in the future. Credit: Caroline StrangAs I wrote about in my last post, bees are capable of learning which flowers offer good nectar rewards based on floral features such as colour, smell, shape, texture, pattern, temperature and electric charge. They do this through associative learning: learning that a ‘conditioned stimulus’ (for example, the colour yellow) is associated with an ‘unconditioned stimulus’ (nectar). Learning simple associations like these is the basis of all learning – pretty much all animals do it, from humans to the sea slug which doesn’t even have a brain. However, the world is rarely as simple as this and so animals need to be flexible. For example, as humans we might learn that if we put our bank card in a machine and enter a pin number we can obtain money. However, we might also have to learn that we can only access the bank machine inside the bank during particular hours, or that if we travel to another country their bank machines might operate differently. Therefore we need some behavioural flexibility around what we’ve learned. The same is true for bees. In a bee’s world, much of what she learns relates to getting food from flowers. However, it won’t always be as simple as ‘blue flowers have better nectar than yellow rewards’. Instead a bee might have to learn ‘blue flowers have better nectar than yellow flowers, but only in the morning’ or ‘this particular species of blue flower which also has a specific smell has better nectar than yellow flowers, but another species of blue flower has worse nectar’. Honeybees can indeed learn more complex relationships like this. This has been shown in many different experiments using different protocols and in different contexts. For example, bees can be trained that an artificial flower which has a blue checkered pattern has good nectar rewards, and one with a yellow checkered pattern has good nectar rewards but a combination of the two (blue and yellow checkered) is not good. They can also be trained to the reverse (that the combination of the two stimuli is good, but that either by themselves is not good). Similarly, honeybees can be trained that only very particular combinations of stimuli are good; i.e. A and B together are good, and C and D together are good, but any other combination (e.g. A and C or B and D) are not good. The list of other complex relationships bees can learn is seemingly endless, but other impressive feats include honeybees’ ability to learn that rewards can be found in a specific location only at one particular time of day and that bumblebees can learn that the location of nectar alternates between two available options and solve physical problems. However, honeybees’ and bumblebees’ cognitive abilities go beyond these examples of simply learning about their worlds, be it under a number of complex conditions. One excellent study showed that bees could actually form abstract concepts about their world. Having an abstract concept is the ability to understand a general fact about the way things are and to being able to generalise that fact to new situations you might encounter, as opposed to learning relationships that only hold in one particular situation. As humans, we form abstract concepts about the world all the time, generalising from one situation to another. For example, one concept we form about the world is the concept of ‘sameness’ and ‘difference’. If we were having dinner together and I asked you if you’d like ‘more of the same’, you would understand that if we had just been eating pasta that I was offering you more pasta. In another, totally different situation, say we’re operating on someone together and I ask you to pass me ‘the same instrument for stitching people closed that you just gave me a minute ago’ (I’m not sure why any doctor would ever phrase it this way; but let’s just suppose that they don’t have a great memory for medical instrument names), you would understand that you needed to pass me another needle. Therefore, you have the ability to take the concept of ‘sameness’ and use it in two totally different situations. But how would you go about asking a bee if she can do the same thing? How do you test for abstract concepts in bees? Researchers did this through a cleverly thought-out experiment. First they trained a bee that if she saw a particular colour (say, blue) then when she was later given a choice between blue and yellow, blue always had nectar whereas yellow did not (stages 1 and 2 on the diagram). Similarly, she was trained that if she saw yellow then when she was later given a choice, she had to choose yellow to get the reward (steps 3 and 4 on the diagram). Therefore, she always had to go to the same colour as the one she had previously seen to get the reward. The bees learned this without much difficulty. However, at this point it’s not clear whether the bee had actually learned the concept of ‘sameness’ or instead had just learned a rule for this one situation (e.g. ‘I go to yellow to get a reward when I see yellow and I go to blue to get a reward when I see blue’). To test whether the bees had actually learned the concept of ‘same’, the researchers then presented the bee with a new stimulus, one she had never seen before. This time it was a pattern: black and white horizontal stripes. The bee was then given a ‘transfer test’; a choice between a black and white striped horizontal pattern or a vertical pattern. If the bee had learned the rule ‘when I see a stimulus I then need to choose the same stimulus to get a reward’ (i.e. the concept of ‘same’) then she should fly to the horizontal stripes pattern (steps 5 and 6 on the diagram). This is indeed what the majority of bees did. Another group of bees were trained only to black and white horizontal patterns and then given transfer tests using blue and yellow colours; these bees also showed that they had learned the concept of ‘same’ by going to the correct colour. Now, the really cool part of this experiment was that the researchers then gave a new set of bees stimuli in a totally different modality: scent. Bees were trained that when they smelled a particular odour, they had to go to the same odour to get a reward. They were then given a transfer test in colour, and the bees transferred their knowledge to this new context, going to the ‘correct’ colour even though they had never been trained with colour before. In another set of bees, individuals were trained to go to the different stimulus to the one they had just seen before being given a transfer test, and their choices showed that they were also able to learn the concept of ‘difference’. Bumblebee on flower. Credit: jinterwasAfter I tell people about some of these impressive cognitive abilities that bees have, another question that I often get asked is, ‘OK, so if bees are so smart, then why do they always fly into windows?’. I hope from what you’ve read in these two posts you can appreciate that when you want to ask a question of a bee you have to frame it in a way that the bee ‘understands’. If we were to ask a human a question, we could use language, to ask a bee a question, you generally use stimuli that represent flowers and nectar. 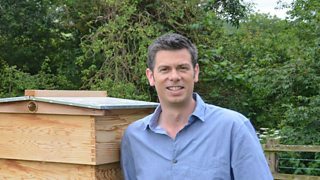 Like all animals, the cognitive abilities of bees have been selected by natural selection to make the bee as good as possible at learning about things that it needs to know about its environment. This includes many complex relationships about how to get the best food from flowers, but sadly, doesn’t include the ability of how to best navigate windows. Clarke, Dominic, Heather Whitney, Gregory Sutton, and Daniel Robert. 2013. “Detection and Learning of Floral Electric Fields by Bumblebees.” Science (New York, N.Y.) 340(6128): 66–69. Dyer, Adrian G et al. 2006. “Behavioural Ecology: Bees Associate Warmth with Floral Colour.” Nature 442(7102): 525. Von Frisch, K. 1956. Bees; their vision, chemical senses, and language. Ithaca, N.Y., Cornell University Press. Von Frisch, K. 1967. The Dance Language and Orientation of Bees. Cambridge, Massachusetts: Harvard University Press. Giurfa, M., Zhang, S., Jenett, A., Menzel, R., & Srinivasan, M. V. (2001). The concepts of ‘sameness’ and ‘difference’ in an insect. Nature, 410(6831), 930-933. Pahl, M., Zhu, H., Pix, W., Tautz, J., & Zhang, S. (2007). Circadian timed episodic-like memory–a bee knows what to do when, and also where. The Journal of experimental biology, 210(20), 3559-3567. Schubert, Marco, Harald Lachnit, Silvia Francucci, and Martin Giurfa. 2002. “Nonelemental Visual Learning in Honeybees.” Animal Behaviour 64(2): 175–84. Strang, C. G., & Sherry, D. F. (2014). Serial reversal learning in bumblebees (Bombus impatiens). Animal cognition, 17(3), 723-734.